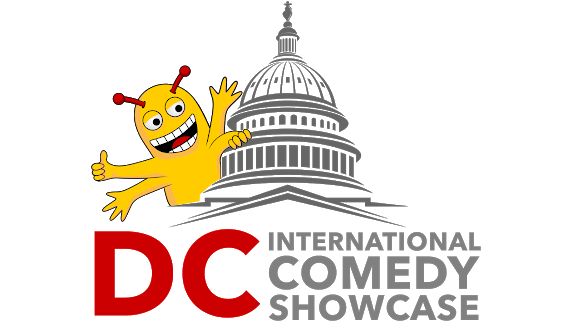 Shazia Mirza (Pakistan),Julia Hladkowicz (Canada) & Joseph Opio (Uganda) 3 critically acclaimed international comics perform 20+ mins of stand-up comedy - hosted by a local to DC international comedian. 90 Minute Show. Shazia Mirza is an award winning British stand up comedian and writer with a Pakistani family background. But what do awards mean anyway? Everyone’s got an award. You get awards these days just for leaving the house and recycling your yogurt pots. Shazia’s TV appearances include; ‘Travel Man, 48 Hours In…’ (C4), ‘Celebrity Island with Bear Grylls’ (C4), ‘The Jonathan Ross Show’ (ITV), Top Gear (BBC), ‘Loose Women’ (ITV), ‘The Late Late Show’ (RTE) and she is a regular panelist on ‘The Wright Stuff’ (Channel 5). Radio includes; ‘Graham Norton Show’ (BBC), ‘Steve Wright in the Afternoon’ (BBC), ‘The Craig Ferguson Show’ (SiriusXM), ‘The Now Show’, ‘Saturday Live’, ‘Woman’s Hour’, ‘The Robert Elms Show’ (BBC), ‘The Ian Dale Show’ (LBC) and ‘The Frank Skinner Show’ (Absolute Radio). Julia Hladkowicz is a Canadian comedian and actor who has won numerous awards in the world of comedy such as the Hogtown Comedy Festival Directors Award, 2008 Fresh Meat Showcase Nomination and the prestigious Brian Linehan Scholarship Award. She has appeared on The Comedy Network, Much Music’s Video on Trial, MTV, YTV, PBS and on SiriusXM. She is a two time finalist in SiriusXM’s Top Comic and has performed numerous times at JFL42 in Toronto and twice at Just For Laughs in Montreal. She made her Just For Laughs debut in the Homegrown Competition in 2015 and has returned to do two All Access TV tapings and a Kevin Hart LOL Live taping. JOSEPH OPIO is a Ugandan stand-up comedian and writer on The Daily Show with Trevor Noah. A trained lawyer and qualified accountant, Opio is an observational satirist whose universal brand of comedy, razor-sharp wit, original material and impeccable delivery have seen him perform on three different continents — from South Africa through Switzerland to the biggest comedy clubs in New York City. 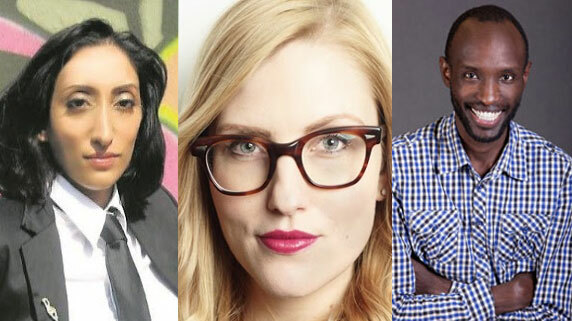 Opio has written for over 560 episodes of The Daily Show, has won an NAACP Image Award for Outstanding Writing in a Comedy Series, and been nominated for two consecutive Writers’ Guild of America (WGA) awards for outstanding achievement in comedy and variety.